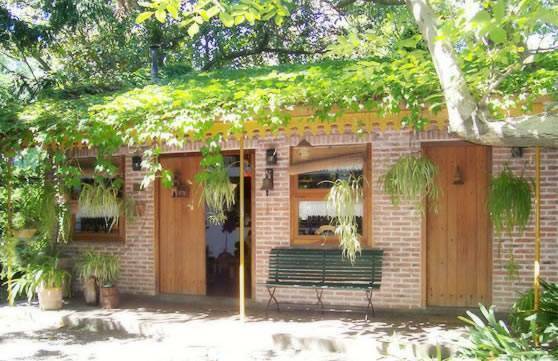 Teresita B&B has all of your comforts in mind for your special visit to Buenos Aires. It is highly recommended and widely acclaimed, offering unbeatable standards of cleanliness, service and hospitality. Teresita is now offering cooking classes in Buenos Aires designed to offer food lovers a unique gastronomic experience exploring Argentine and Latin American cuisine, sampling local ingredients and learning Teresita's recipe secrets, with emphasis in Latin American food preparation and wine paring. Whether you are a kitchen novice or an experienced cook, you will find our cooking classes in Buenos Aires to be fun and very useful in your every day life. 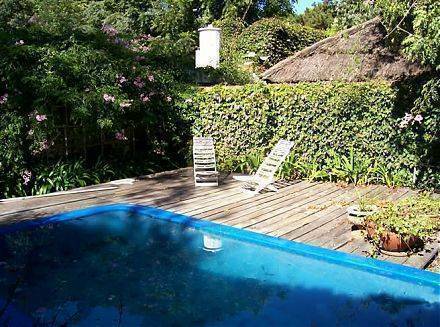 Private Guest House with private bathroom. Charming brick wall ground floor unit with exposed cypress beam high-ceilings and Mexican terracotta-tile flooring. Rustic furnishings with South American indigenous art accents. Antique bathrooms fixtures. Designed to provide the ultimate in privacy, blending rustic beauty with modern amenities for a truly comfortable experience, Teresita B&B's spacious guest house is located at the back of the inn surrounded by lush tropical flora, featuring two comfy single beds, radio, French cotton linens, bathroom amenities, Cable TV, intercom connection with main property, small fridge, ceiling fan, Air Conditioning HOT/COLD with remote for individual control, writing desk with chair and a roomy closet. Single Bedroom with shared bathroom Beautiful single bedroom with lots of Argentine charm. Exposed cypress beam high-ceilings and Mexican terracotta-tile flooring. Rustic furnishings with South American indigenous art accents, blending rustic beauty with modern amenities for a truly comfortable experience. Enjoy views of lush tropical flora offering quiet, regal relaxation The bedroom features a single bed with French cotton linens, bathroom amenities, cable TV, radio, Heating stove, ceiling fan, Air Conditioning HOT/COLD with remote for individual control, writing desk with chair and a roomy closet. 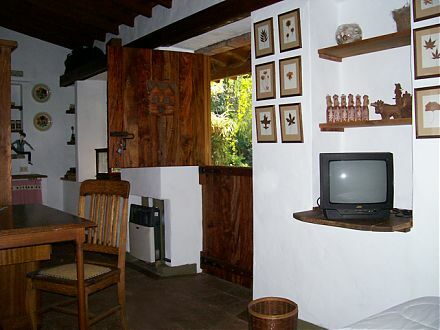 Teresita B&B offers a studio Cottage and one single bedroom at the main house. Private Guest House with private bathroom Charming brick wall ground floor unit with exposed cypress beam high-ceilings and Mexican terracotta-tile flooring. Rustic furnishings with South American indigenous art accents. Antique bathrooms fixtures. 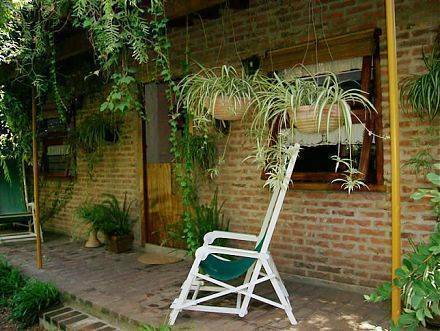 Designed to provide the ultimate in privacy, blending rustic beauty with modern amenities for a truly comfortable experience, Teresita B&B's private 250-square-foot guest house is located at the back of the inn surrounded by lush flora. The guest house features two single beds, bathroom amenities, radio, French cotton linens, cable TV, intercom connection with main property, a small fridge, ceiling fan, heating stove, writing desk with chair and a roomy closet. Single Bedroom with shared bathroom Beautiful single bedroom with lots of Argentine charm. Exposed cypress beam high-ceilings and Mexican terracotta-tile flooring. Rustic furnishings with South American indigenous art accents, blending rustic beauty with modern amenities for a truly comfortable experience. Enjoy views of lush tropical flora offering quiet, regal relaxation The bedroom features a single bed with French cotton linens, bathroom amenities, cable TV, radio, Heating stove, ceiling fan, writing desk with chair and a roomy closet. The surrounding area offers an array of restaurants, typical cafés, shopping facilities and numerous local attractions. We appreciate a seven day cancellation policy, so dates change on your reservation or cancellation must be completed seven days prior to your arrival. Our Check-in Check-out times are flexible, let us know in advance. 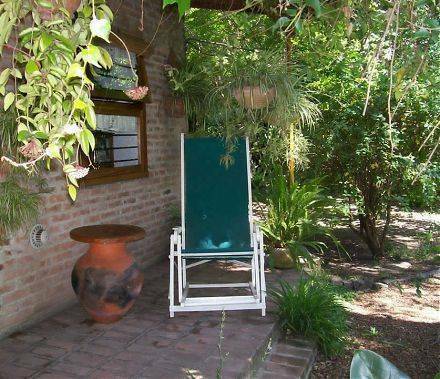 Teresita B&B is located about a 20 minutes drive from Ezeiza International Airport in a residential area called Adrogue and is approximately a 30 minute train ride from downtown Buenos Aires. Shuttle service from and/or to the airport $20 USD.